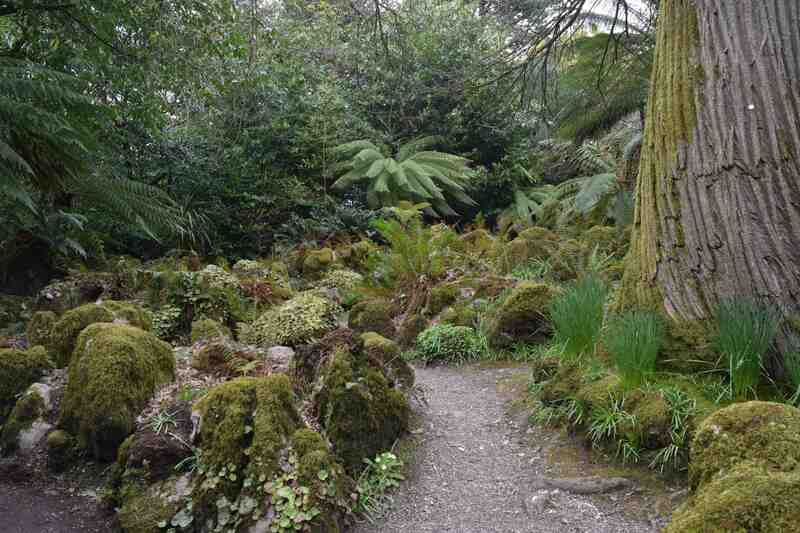 Being completely illogical about the order of my posts on the garden at Fota, near Cork, I am starting with the area that impressed me most. 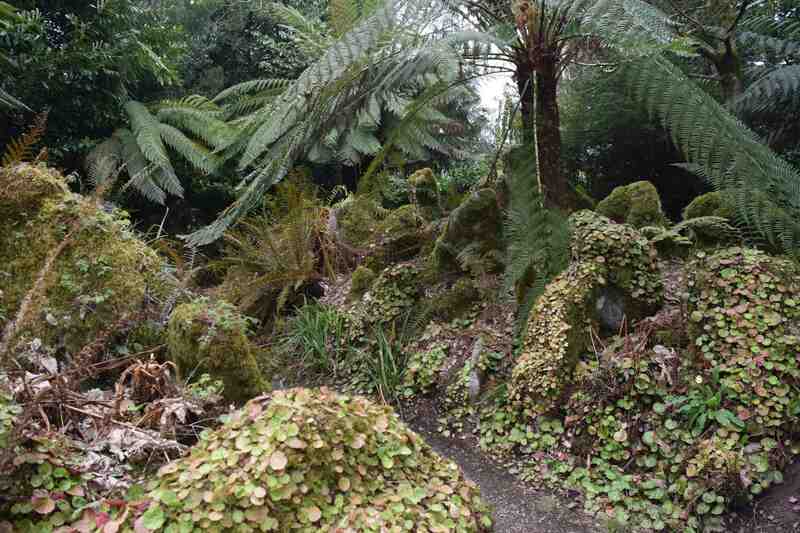 I am naturally a fairly private person and worry too much about what people think about me but I will confess that I like Gothic and Victorian and if I had the money and space the first thing I would construct in my new, 20 acre garden would be a grotto with a glazed fernery with walls covered in shells. 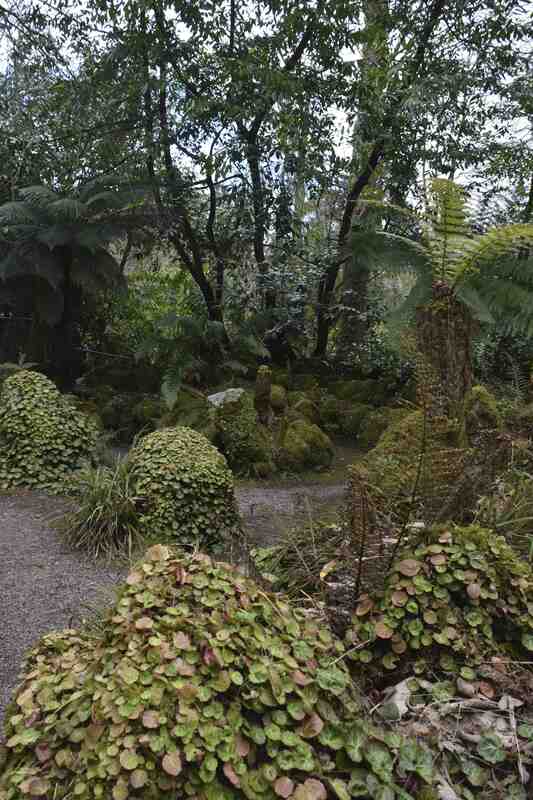 Having admitted that, it will come as no surprise that I loved this area of the garden. 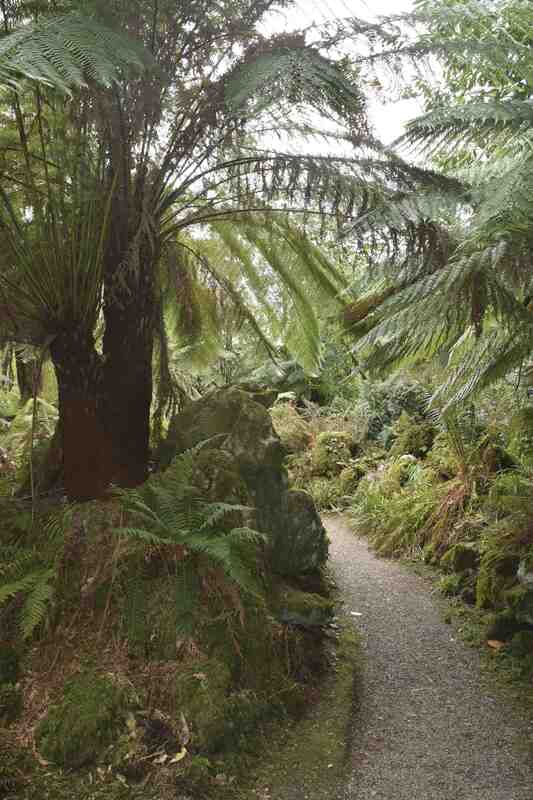 Tree ferns shaded the already gloomy area and moss and other ferns sprung from the rocks. I know it is a bit of a Victorian monstrosity but I liked it. What I particularly liked was the way Saxifraga stolonifera had naturalised and was covering the rocks – I can only imagine it looks amazing in summer when the saxifrage is in bloom with its airy, white flowers.